Ok, you guys! There is seldom a dish that makes me speechless. 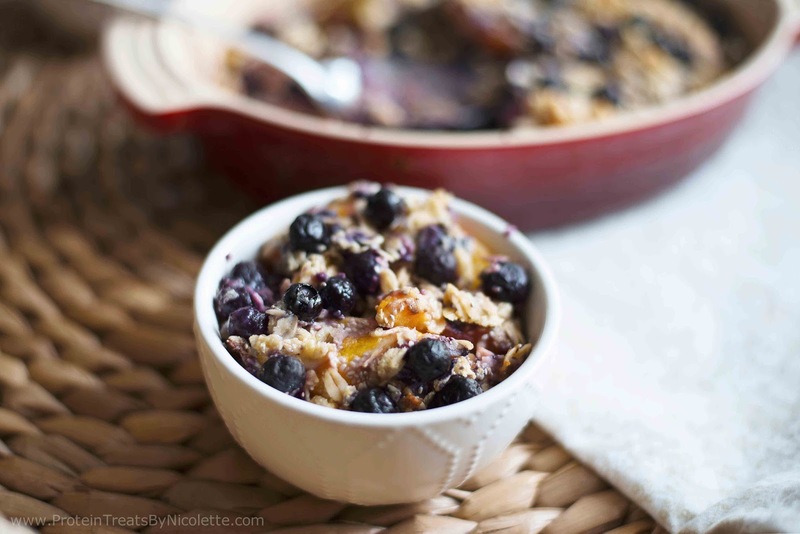 The minute I had a bite of this peach and blueberry crisp, I was in my own little foodie world. 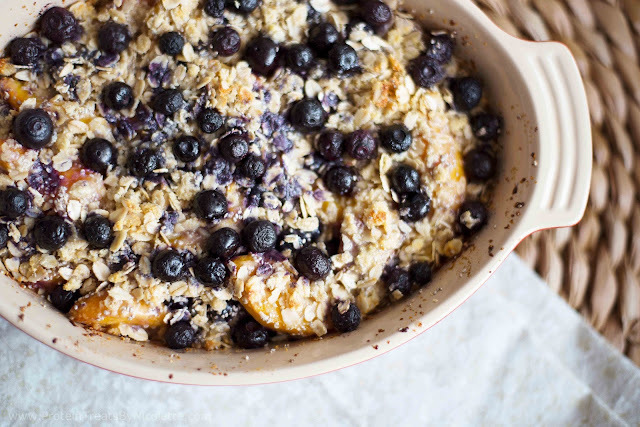 The sweet peaches cooked with the tangy blueberries topped with a sweet oat crumble is perfection. I suppose being a southern girl makes me biased towards traditional southern dessert. But I really don't think many people would find this dish disappointing! I can't wait to hear what you all think about this one! 1. Preheat oven to 350 degrees F. Spray a small baking dish (similar in size to a 1 qt. dish) with non-stick spray. 2. In a mixing bowl, stir together peaches, 1 cup of blueberries, and ½ scoop of protein powder until all of the fruit is coated with protein powder. 3. 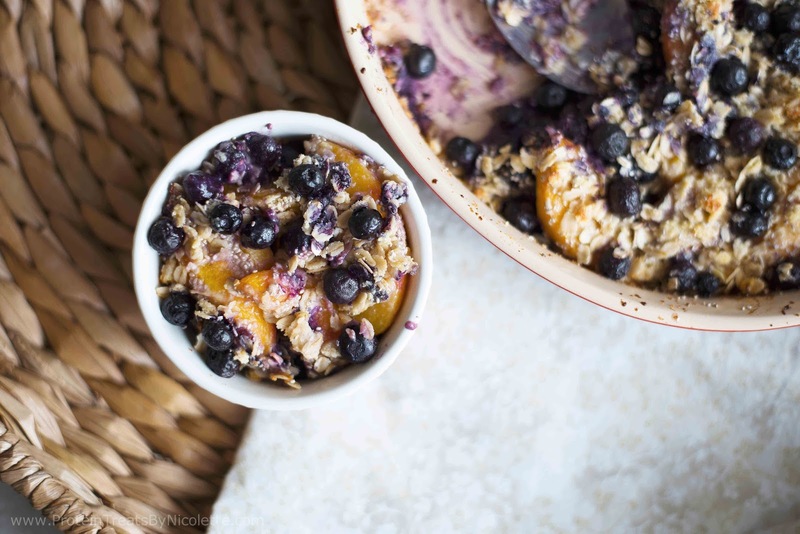 In a separate mixing bowl, stir together the remaining protein powder, oats, xylitol, cinnamon, and coconut oil until well combined. 4. 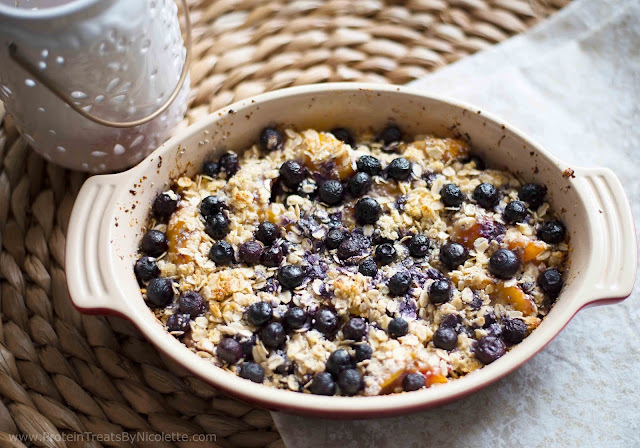 Spoon the fruit mixture into baking dish and spread out evenly. 5. 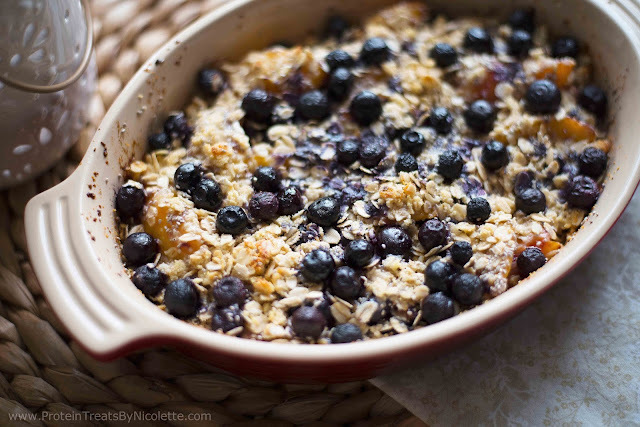 Evenly sprinkle the crisp mixture on top of the fruit. Distribute the remainder ¼ cup blueberries on top. 6. Bake in the oven for 36-40 minutes, or until fruit is bubbling and topping is golden brown. Let cool then enjoy.